The automotive sector has a strategic character in modern societies. Management, productivity, innovation, quality and employment level of this sector are decisive factors in assessing the development of the most advanced economies. 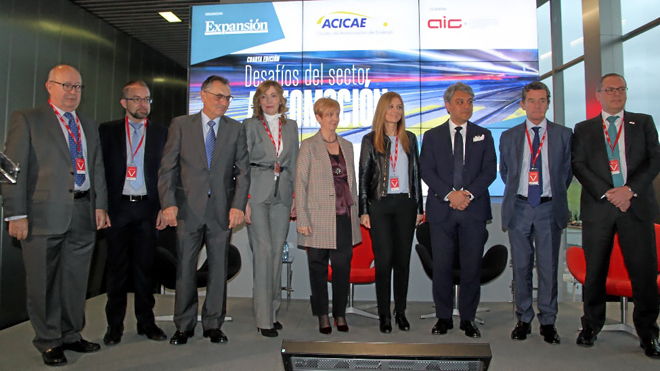 That´s why, ACICAE-Basque Automotive Cluster, together with the financial newspaper EXPANSIÓN and the collaboration of AIC-Automotive Intelligence Center, organised the 4th ACICEXPANSIÓN Meeting under the topic Challenges for the automotive sector 2019, held at AIC-Automotive Intelligence Center, on 7 February 2019. BATZ was one of the invited Companies to share its vision and explain how we are meeting the challenges of a new automotive era.